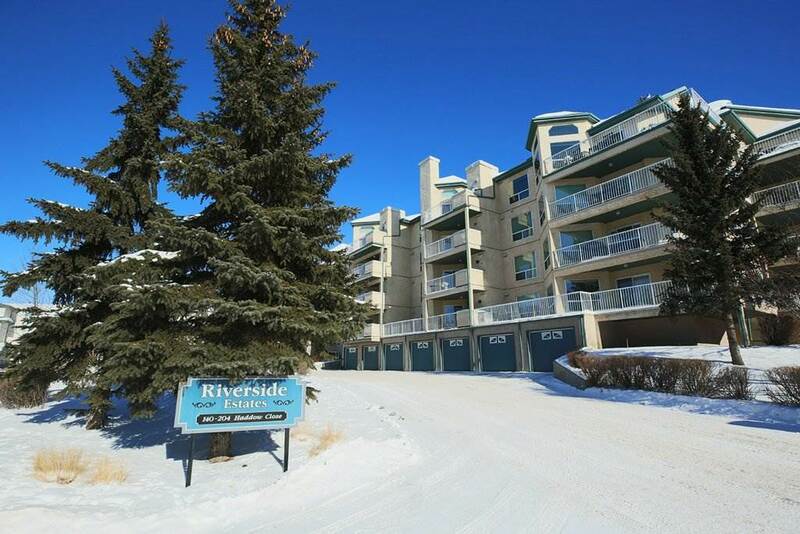 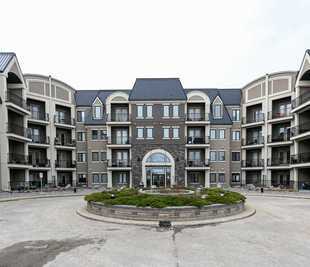 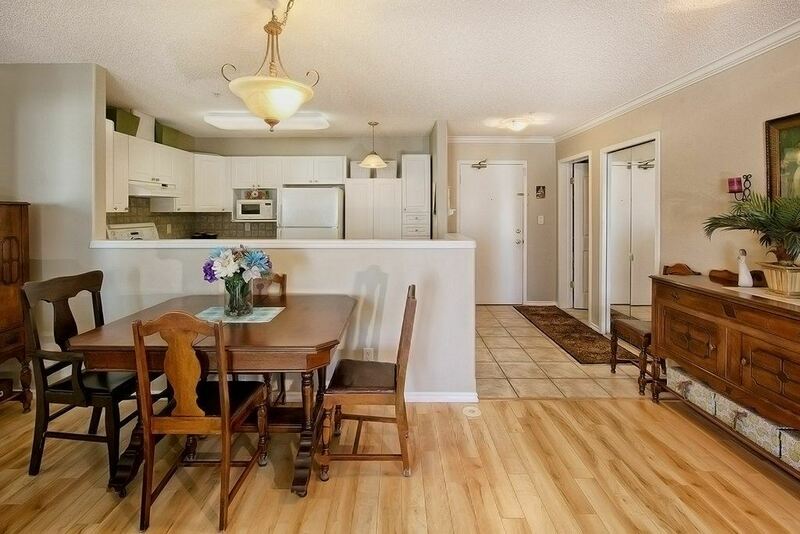 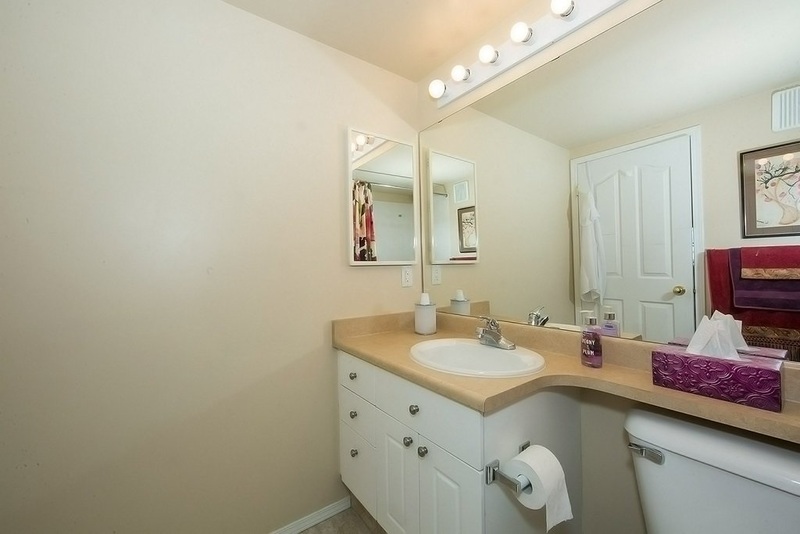 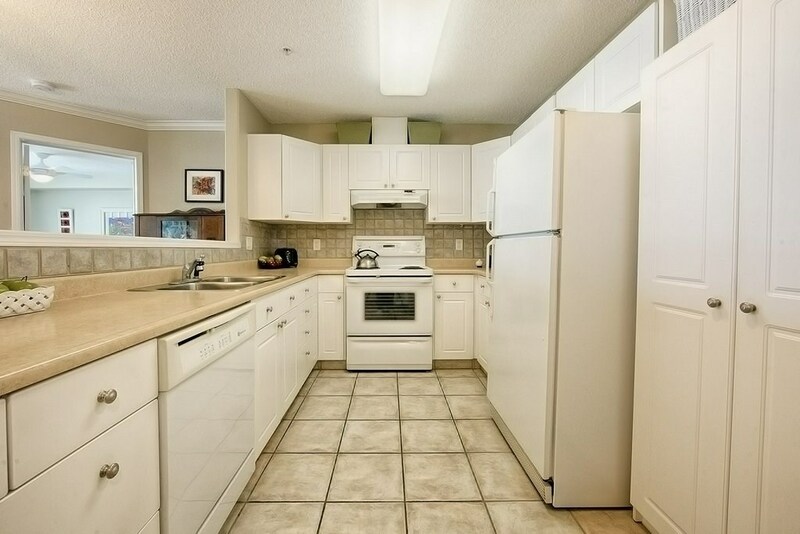 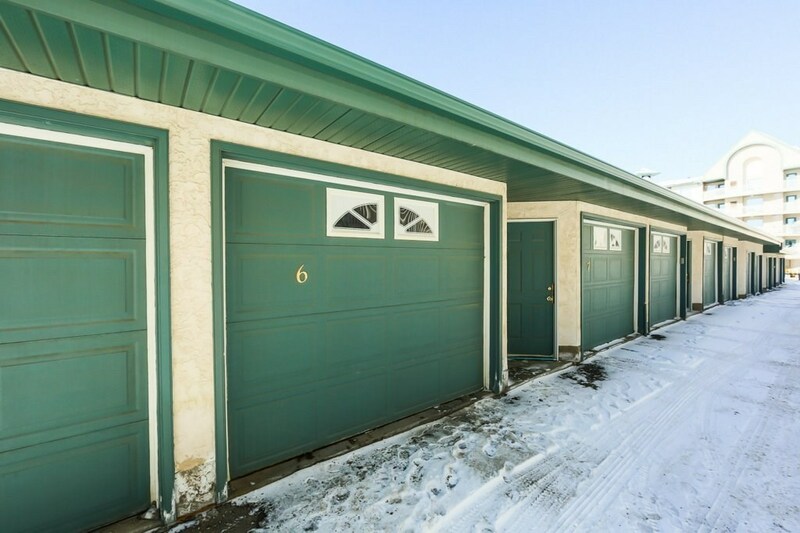 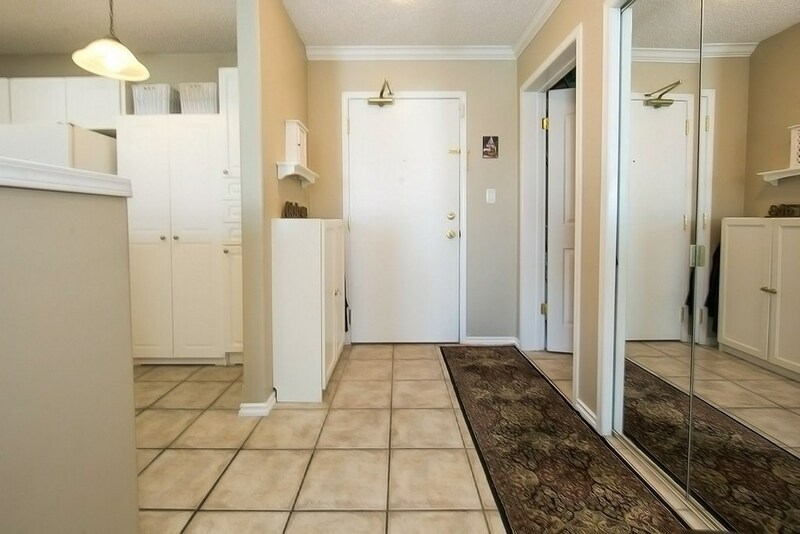 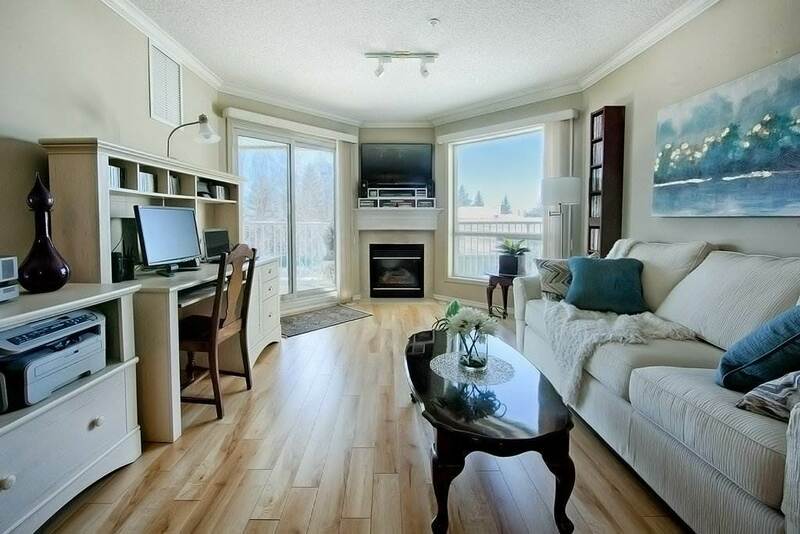 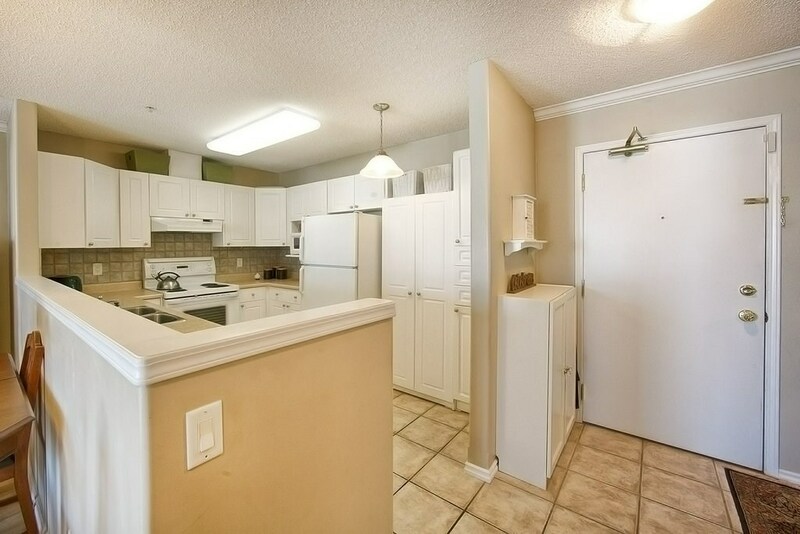 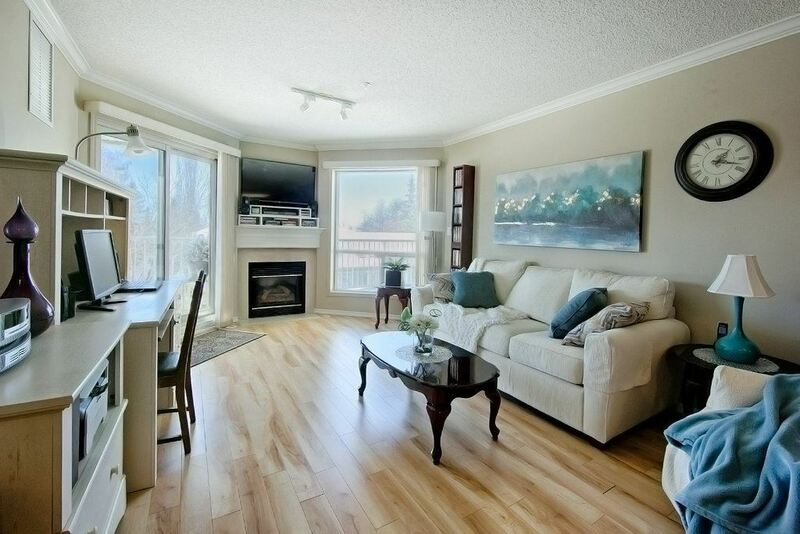 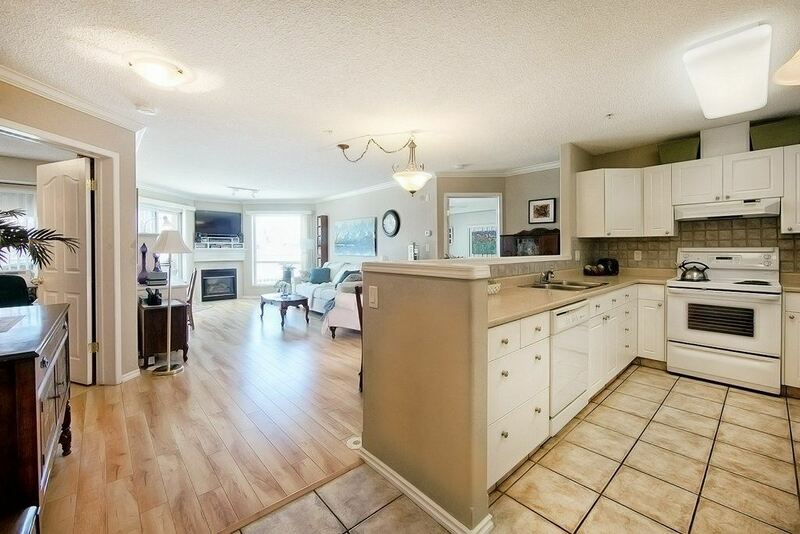 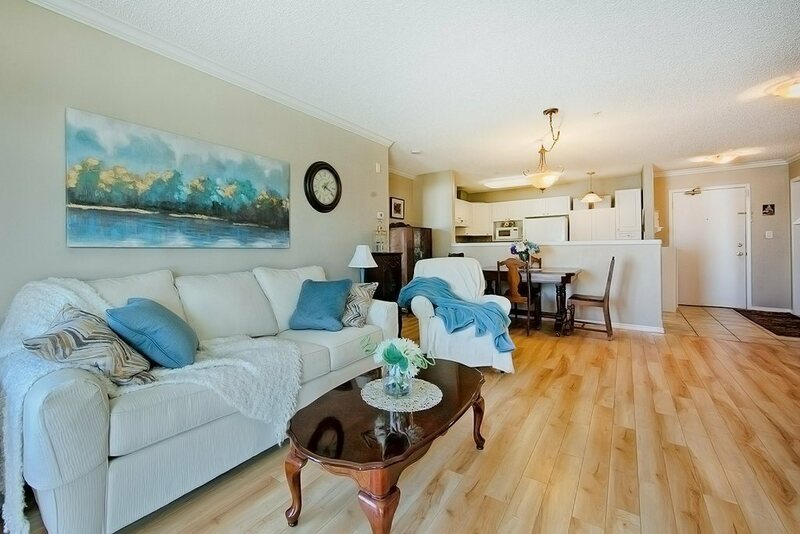 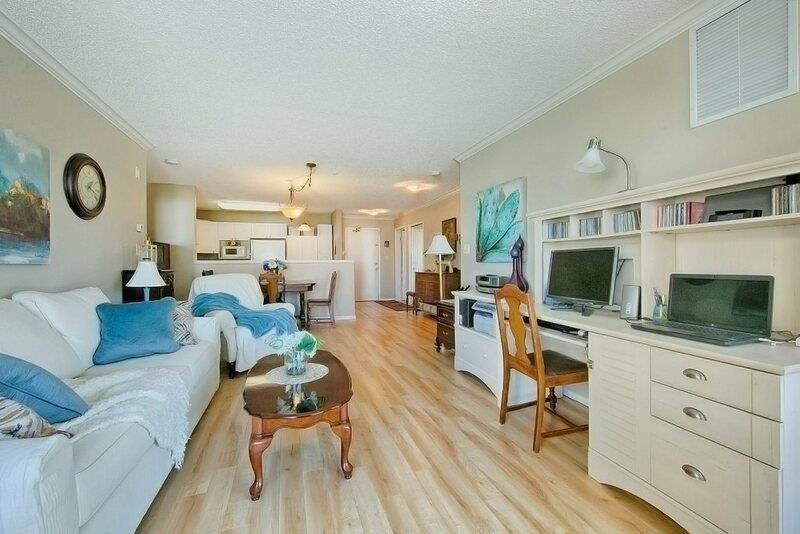 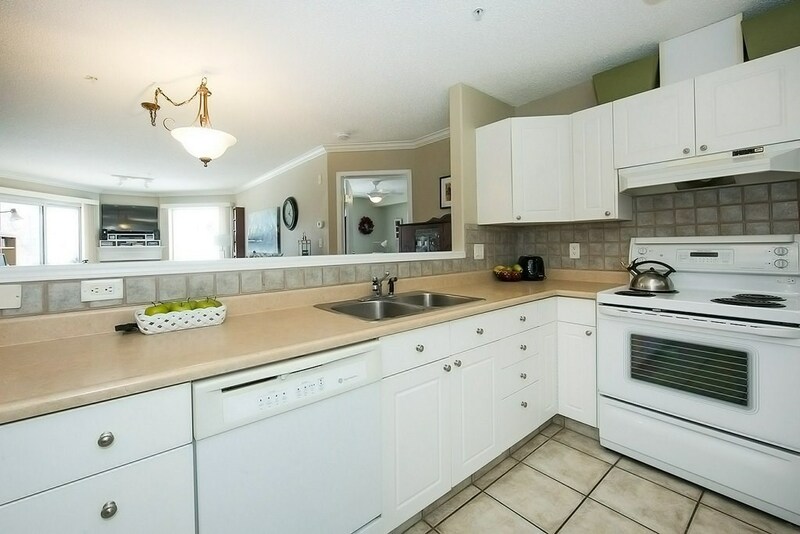 Lovely 2 bdrm + 2 bath condo with OVER-SIZED, SINGLE GARAGE + 1 surface parking stall in 18+ PET FRIENDLY condo in Riverbendâ€¦ welcome to Riverside Estates! 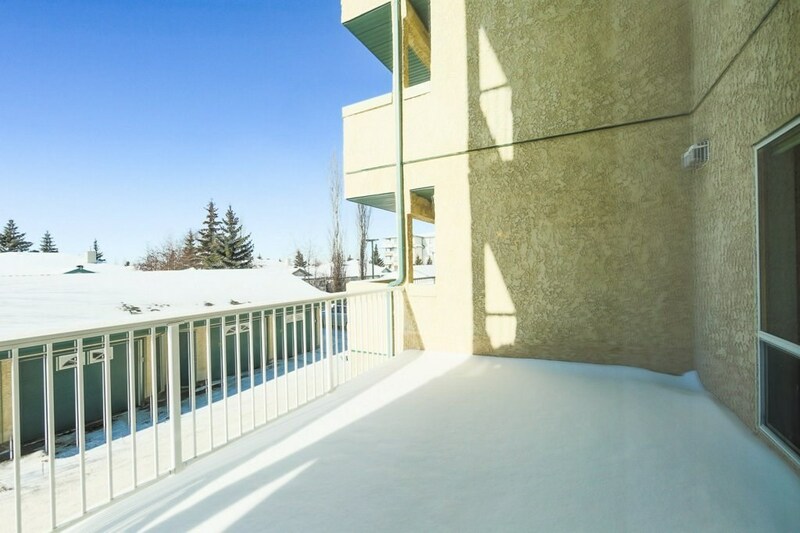 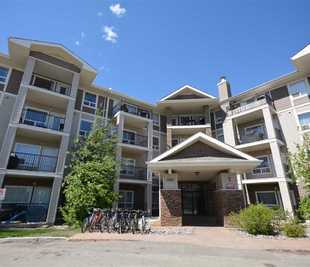 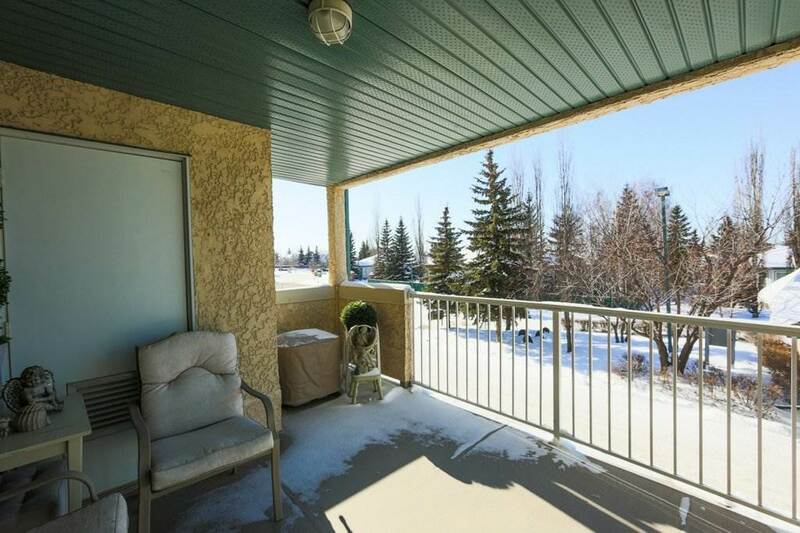 Bright, west-facing unit has 2 BALCONIES to enjoy treed views & lovely summer nights â€“ perfect for BBQâ€™s & sunsets views. 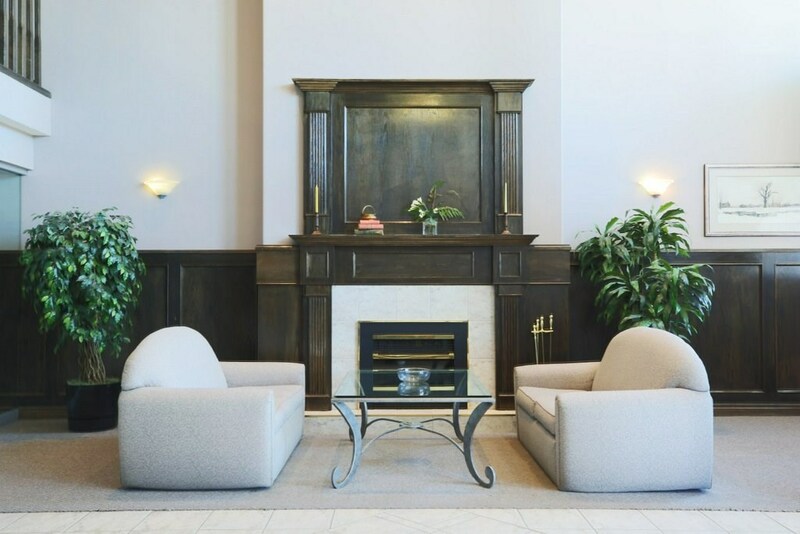 Cozy gas fireplace is perfect to curl up beside on cold winter days & nights. 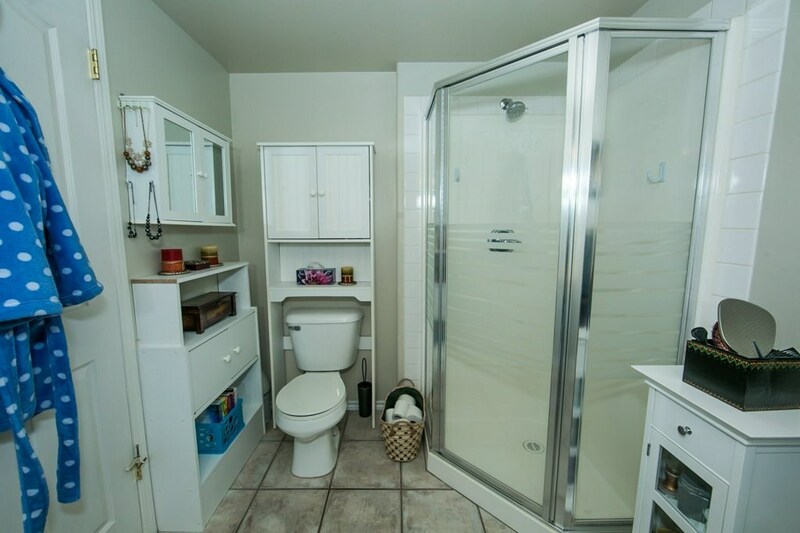 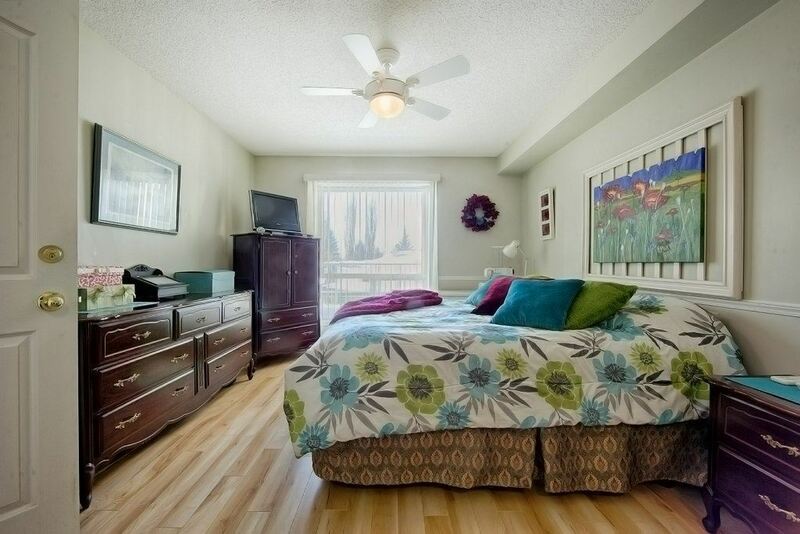 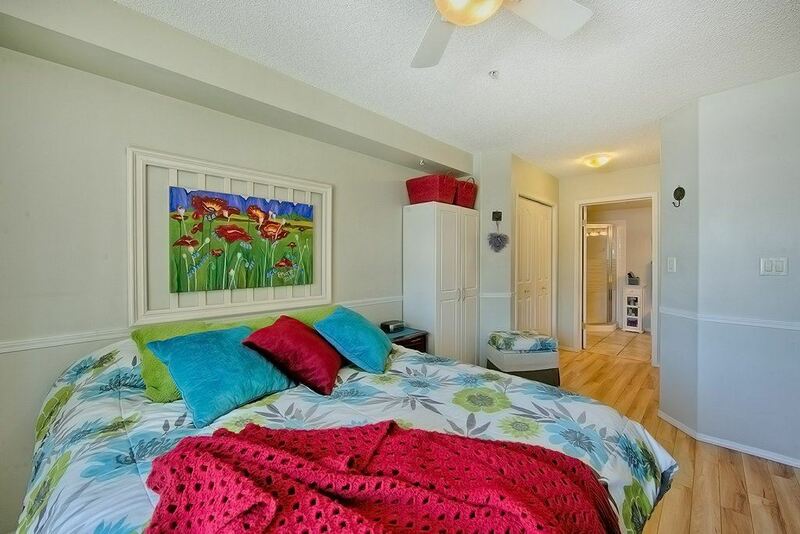 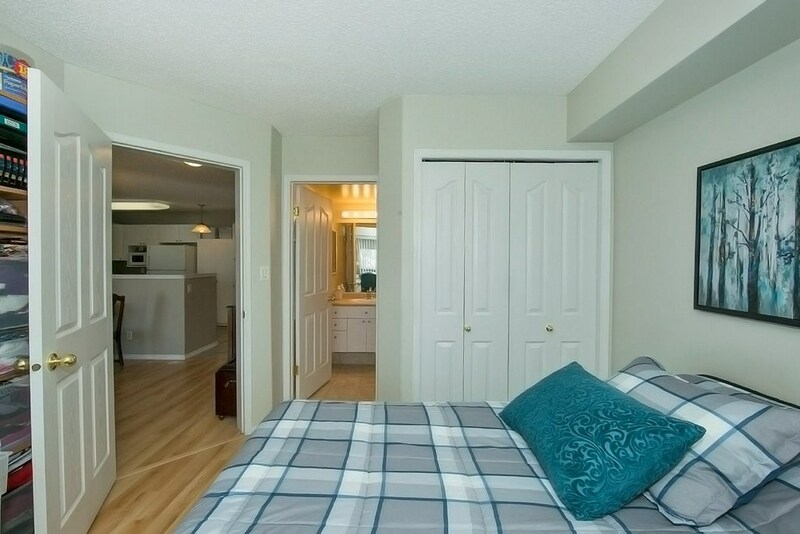 The large master bdrm has a walk-through closet & private ensuite. 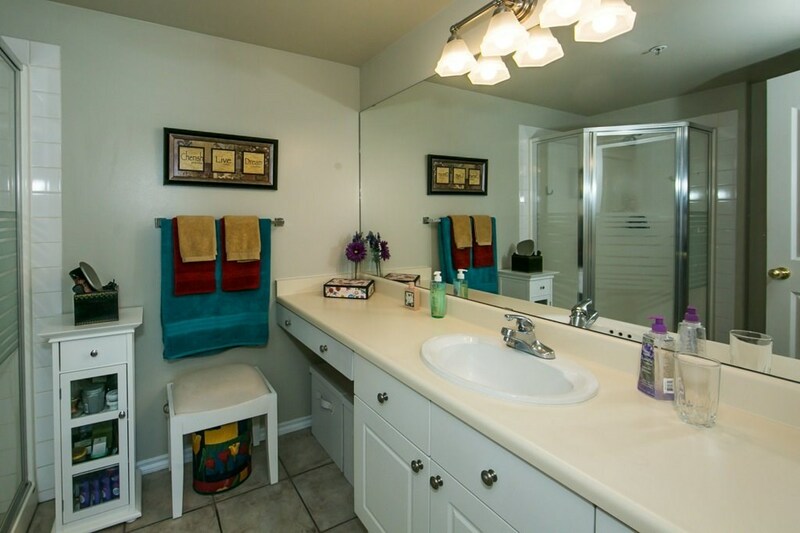 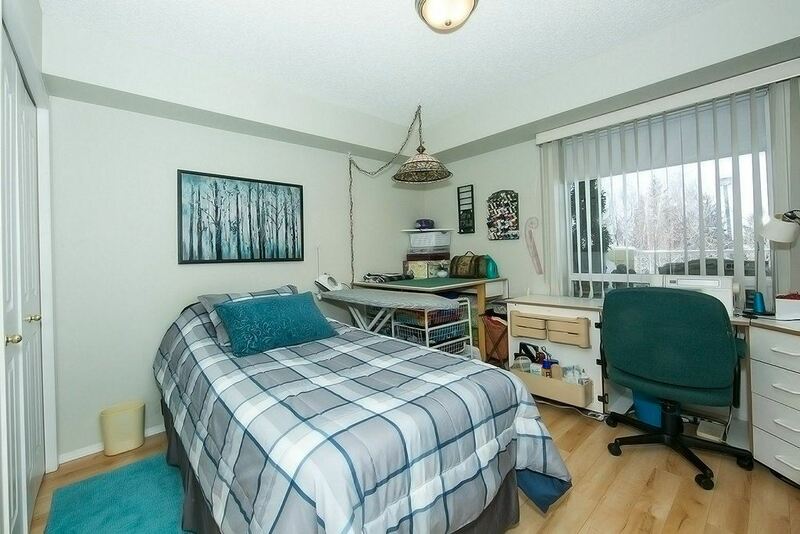 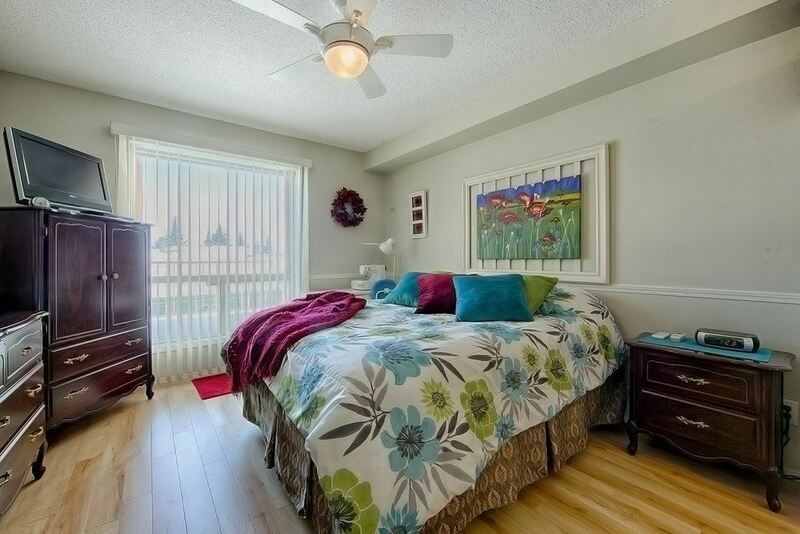 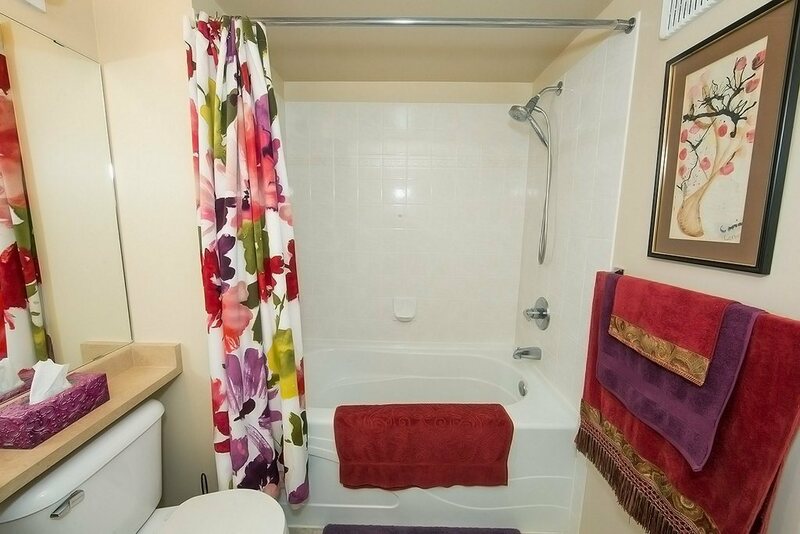 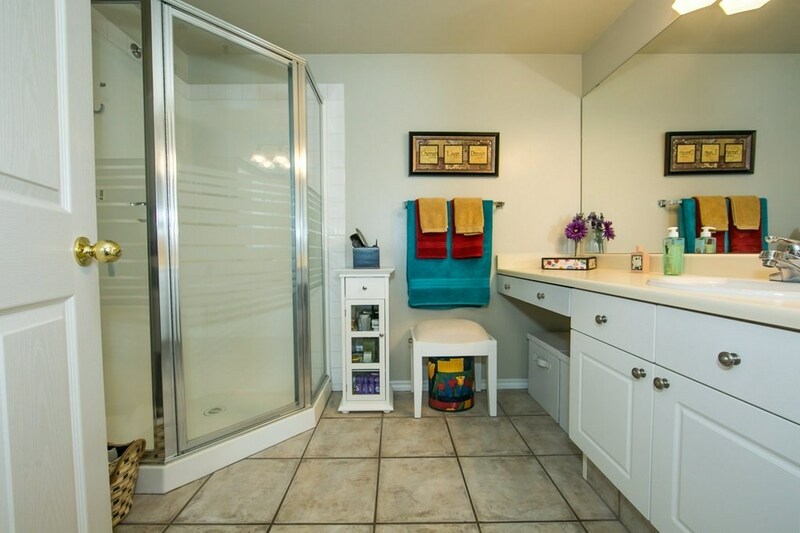 Second master bdrm (currently used as a sewing rm + spare bed) is spacious w/ large window & 4 pc bath. 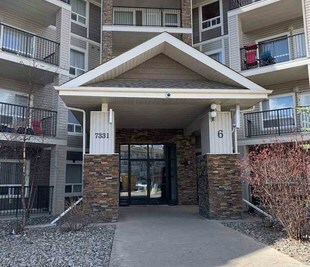 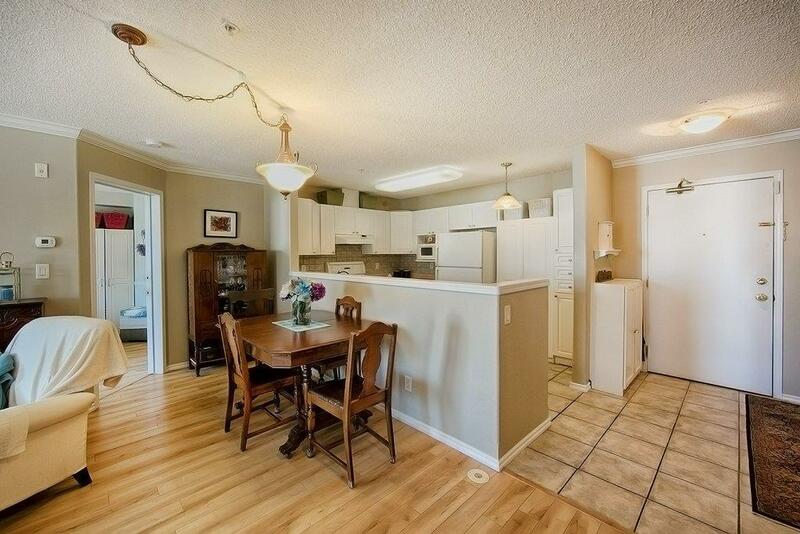 Beautiful unit boasts NEW H20 TANK, NEW LAMINATE FLOORING, huge kitchen (w/ loads of cabinets & counter-space), loads of bright windows & OPEN-CONCEPT LIVING! 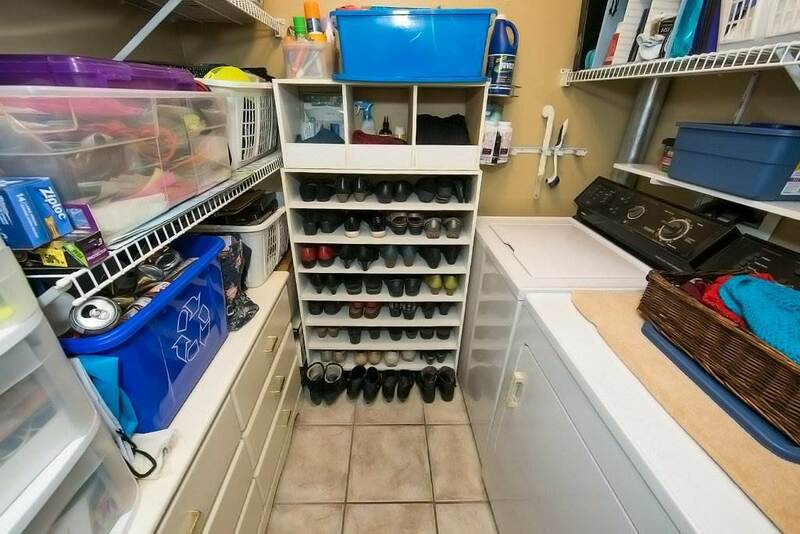 Insuite laundry / storage rm w/ b/i shelving. 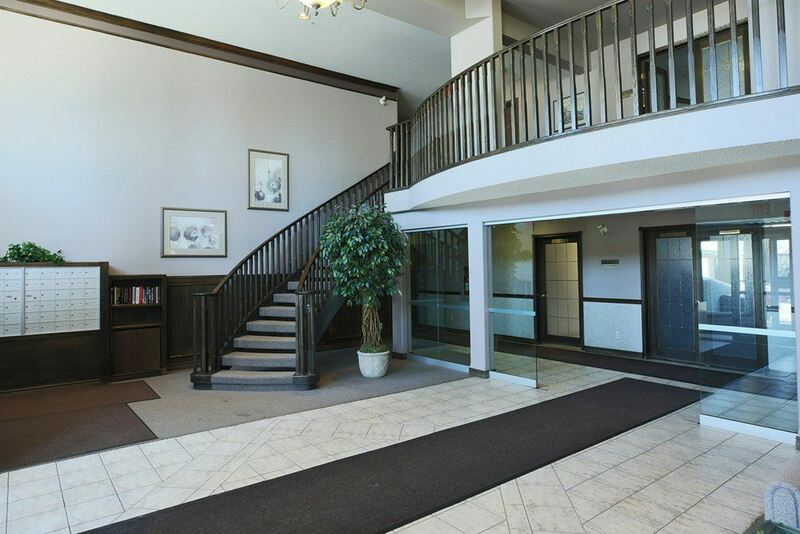 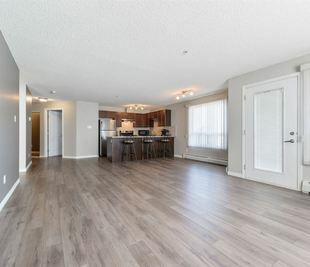 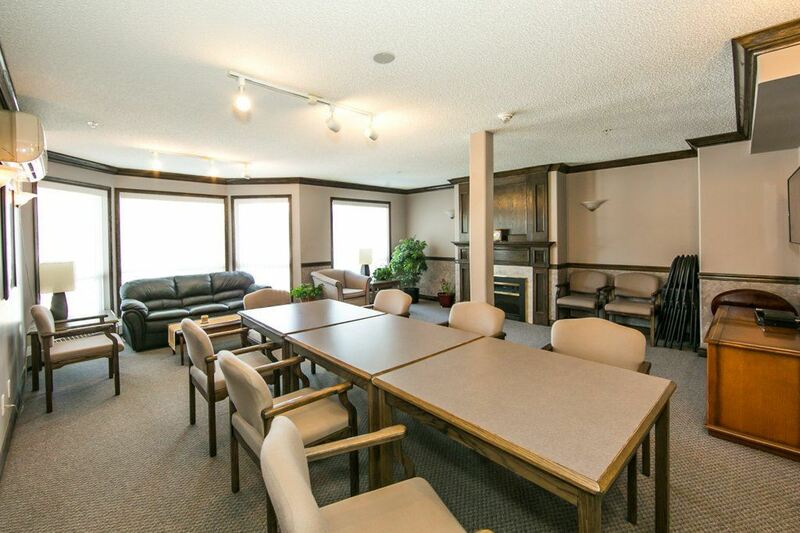 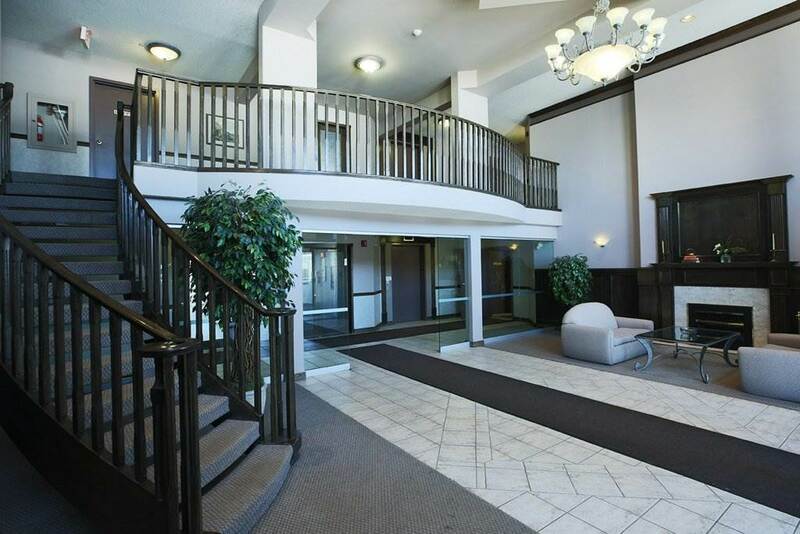 The upscale building of Riverside Estates is well-managed & features an impressive grand foyer, fitness rm, loads of visitor parking & a guest suite... & just steps to trails, medi clinic & easy access to Terwillegar Rec Centre, the Henday & Currents of Windermere.